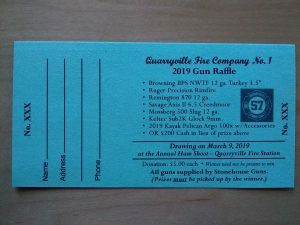 Our 2019 Spring Gun Raffle Tickets are now available!!! For $5.00, you get a chance on the items listed on the ticket. This spring, we have changed things a little bit and added a Kayak as a prize. 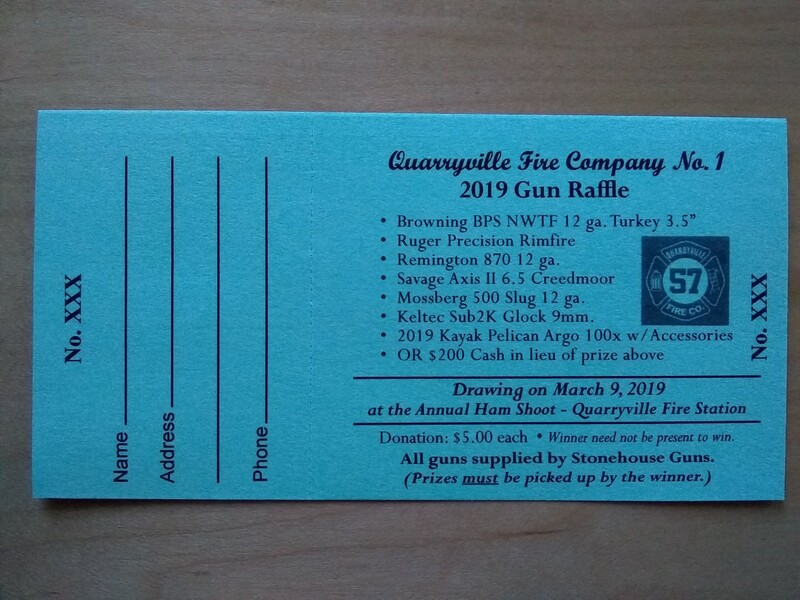 These tickets will be available from any QFD member, or you can stop by the station and pick some up. We only printed 2,000, so get yours early. Mark your calendars for our annual Spring Ham Shoot, which is on Saturday March 9 at 5:00 pm at the fire station. As usual, we will have many great prizes, gun raffles, 50/50’s and raffles. More information will be posted later.